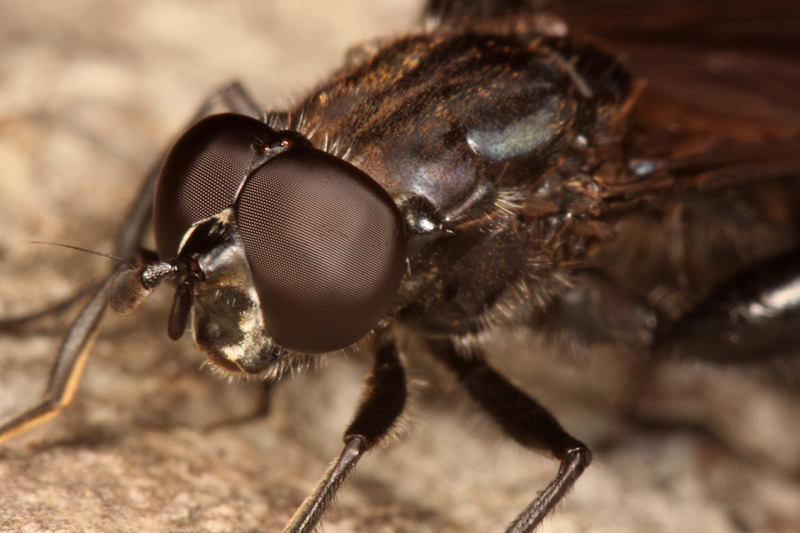 Here are two more photos of the fly I tentatively identified as Chalcosyrphus sp. The first photo shows the all-black coloration with no trace of either steel blue highlights (seen in C. chalybea) or red abdominal markings (seen in C. piger). It also gives a better view of the enlarged and ventrally spinose metafemora. The second photo shows the holoptic (contiguous) eyes that make me think this is a male individual (if, indeed, this is true for syrphids as with tabanids). I’m hoping that posting these will provide any passing dipterists with the information needed for a firmer ID (and possibly an explanation of the purpose of those intriguingly modified hind legs). Lateral view showing black abdomen with no trace of red (except what appears to be a parasitic mite). Do the holoptic eyes identify this as a male? 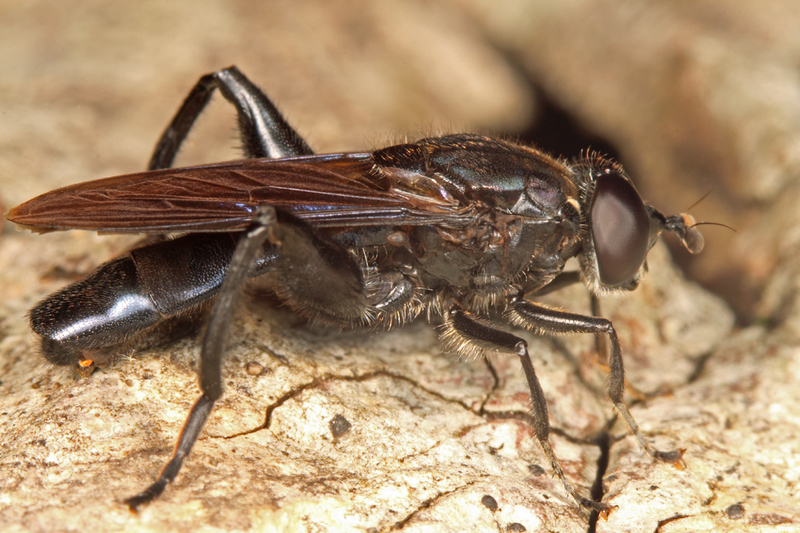 This entry was posted in Diptera, Syrphidae and tagged entomology, flies, hover flies, insects, Missouri, nature, science. Bookmark the permalink. Thank you, Mike – although the longer this sits the more I suspect it can’t be identified based on these views (many beetles are that way, so it wouldn’t surprise me if flies are the same).